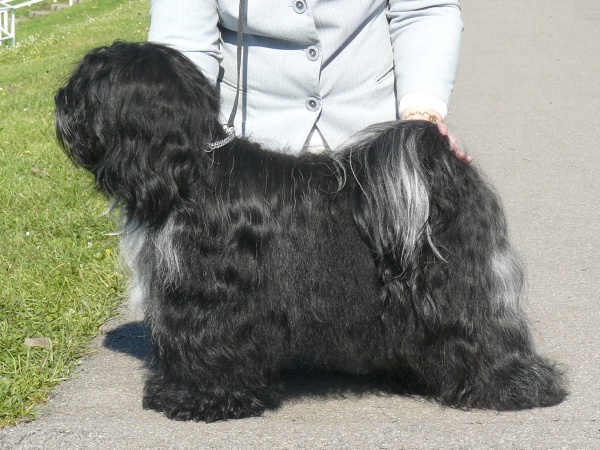 Velvet was first time in adult class and had a realy nice result exc. 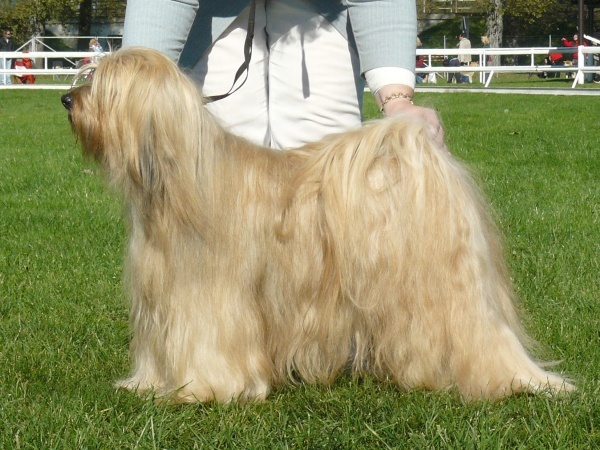 1, CAC. We did some Velvet´s new pictures with Barbora. Galery you can see here :-). 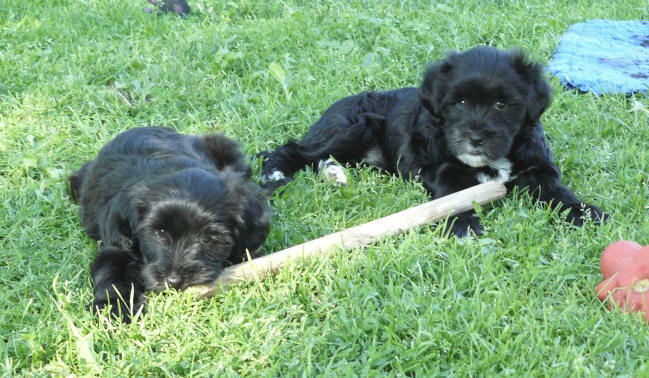 All our puppies are their new homes. All the best our sweeties! We have only one puppy at home - pretty Rewa. If you interested in Rewa, write me, please for next informations. Puppies were on the garden first time. 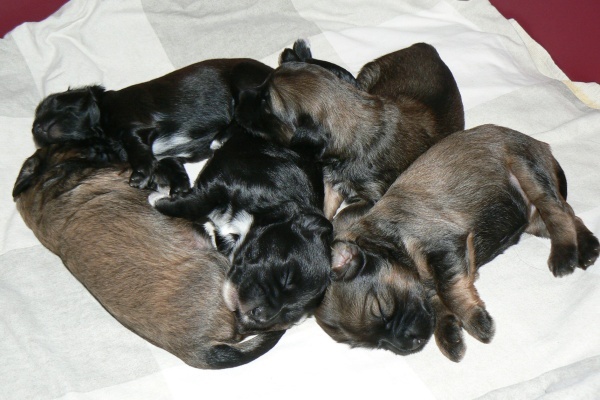 Our puppies have four weeks. 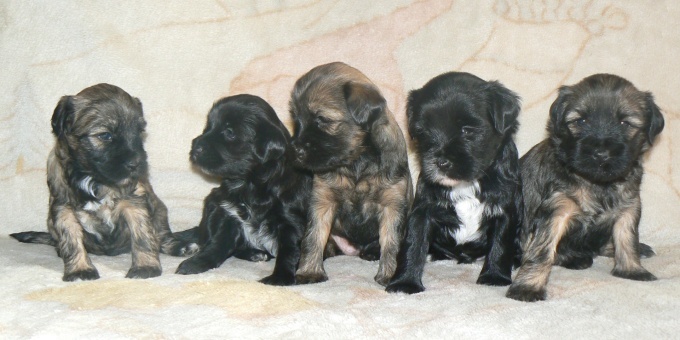 Our puppies have three weeks today. All puppies (D) are in their home. Good luck! 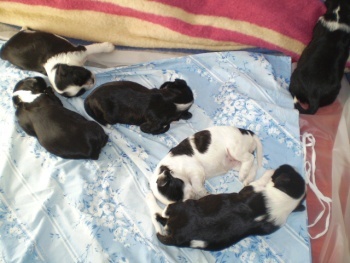 Our puppies are two weeks now. 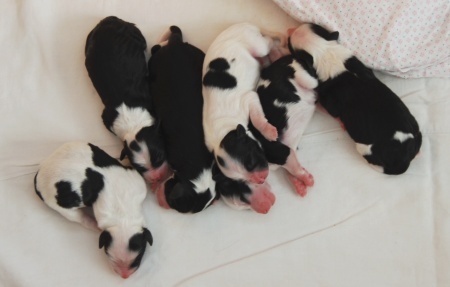 Our puppies have one week already. Here you have their first photos J. Our Taši (Ich. He-ru-ka Tashi Bodjul) and Jomi (Ch. 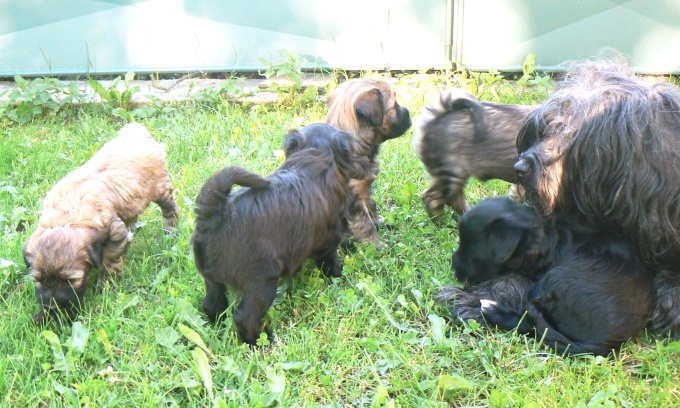 Jomo Lang-ma-ri Tashi Bodjul) have new puppies J. 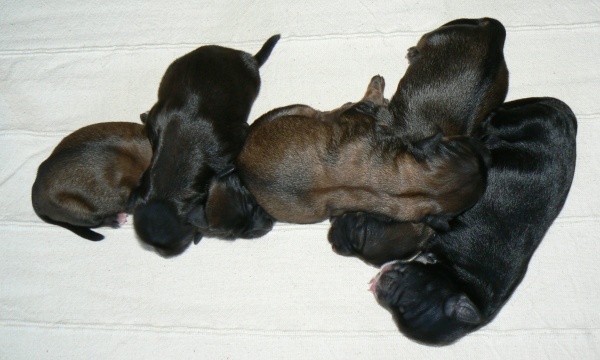 We have one sable boy and four girls (three sable and one black). 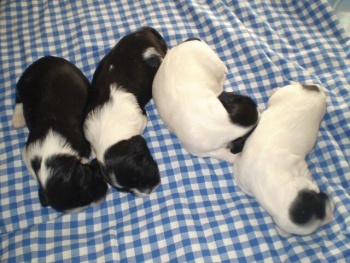 All puppies have small white marks. It is an inbereeding to he famous female Amox Sissybar. 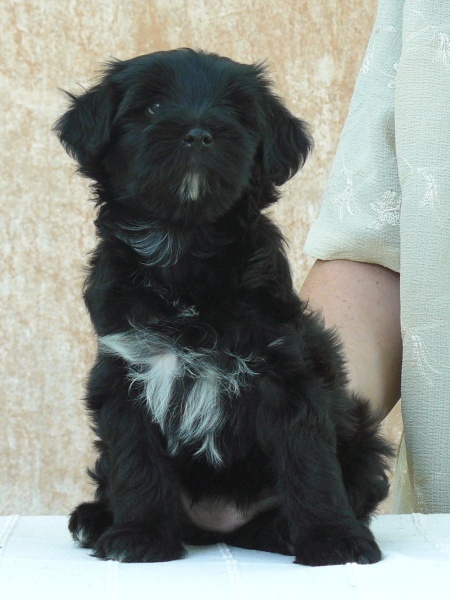 If you are interested for our new puppies, contact me, please, I will answer on all your questions. 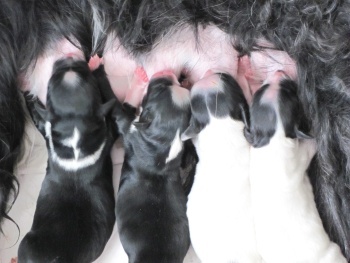 Puppies - 14 days - more photos here. 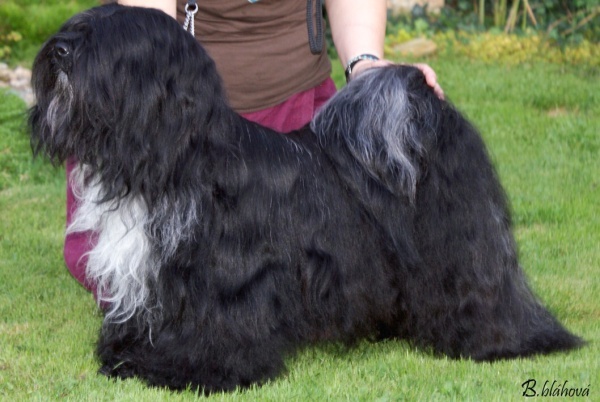 Next puppies of our Jacko (Alilah Jackanory) were born - this time by Noisy (Pam-Zamirin Noisette). 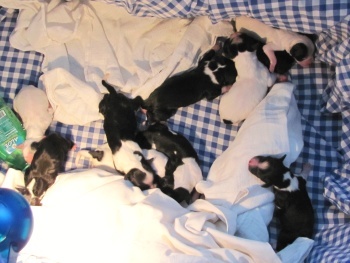 There are 5 boys (3 black & white, 2 white with black marks) and 1 girl (black & white). You can find more info and more photos in home-page of Noisy. 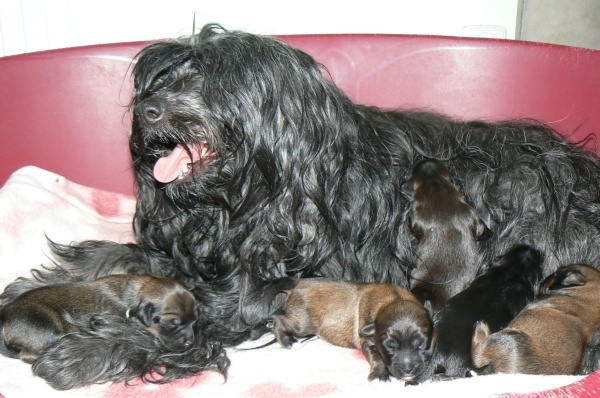 Puppies of Jacko (Alilah Jackanory) and Zofinka (Deinna Masinial) were born! 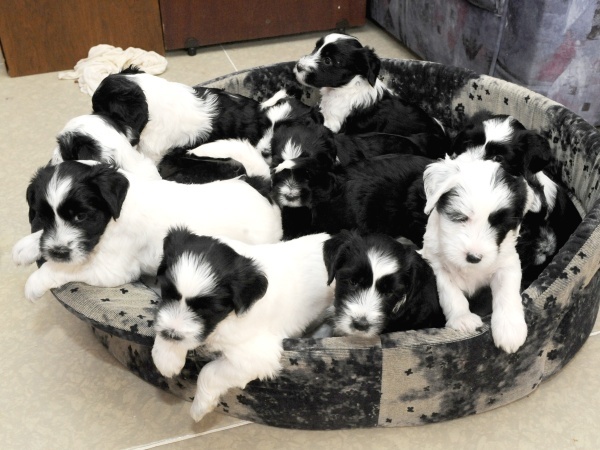 There are 4 boys (1 black & white, 3 white with black marks) and 7 girls (4 black with white marks, 3 white with black marks) ... together 11 pupies !!! 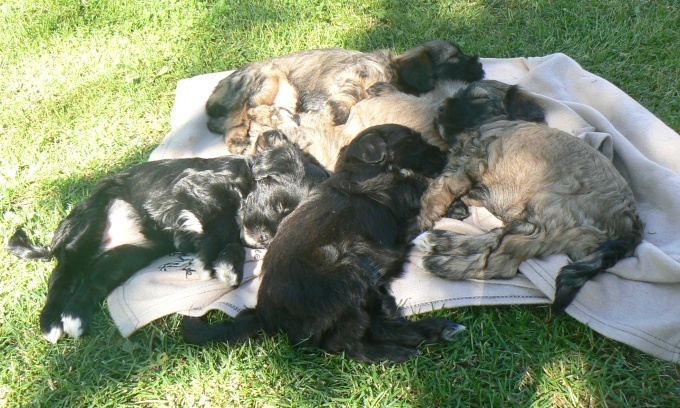 Puppies live by their mother in Praha. You can find more info and photos in her home-page. 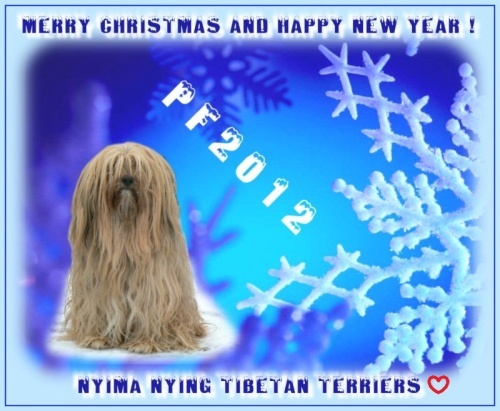 I greet all in a new year.